Posted on September 20, 2018, in Home. Bookmark the permalink. 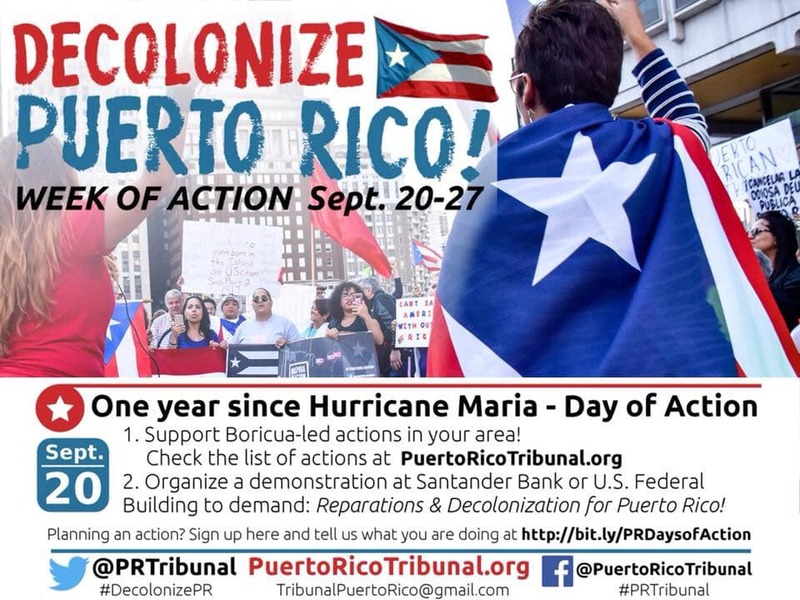 Comments Off on Decolonize Puerto Rico- Week of Action Sept 20-27.